Shay goes solo! All by herself, she rambles about: recent episodes of Forces of Destiny, why you should be watching them, and how they tie into the bigger story (#HeraLives!! ); Star Wars Rebels and where it's headed as the show comes to a close; recent releases from HerUniverse and Shay's tastes in fandom fashion; and the just-dropped reports on the possibility of Amazon making a Lord of the Rings series. She also reads some thoughts from the audience concerning these topics, and takes a few minutes to ramble about Vice Admiral Holdo, Rose, and other characters entering the Star Wars universe. Please subscribe and leave a review on SoundCloud, iTunes, and GooglePlay Music! Follow on Twitter: twitter.com/ElvenPadawan If you have a question or comment, send them to me at shay@elvenpadawan.com. Check out the website for shownotes and a complete list of all soundeffects and music used in this episode: www.elvenpadawan.com. Users who like The Elven Padawan - #9 - Destiny, Rebels, HerUniverse, &... a LOTR TV show??!! Users who reposted The Elven Padawan - #9 - Destiny, Rebels, HerUniverse, &... a LOTR TV show??!! Playlists containing The Elven Padawan - #9 - Destiny, Rebels, HerUniverse, &... a LOTR TV show??!! 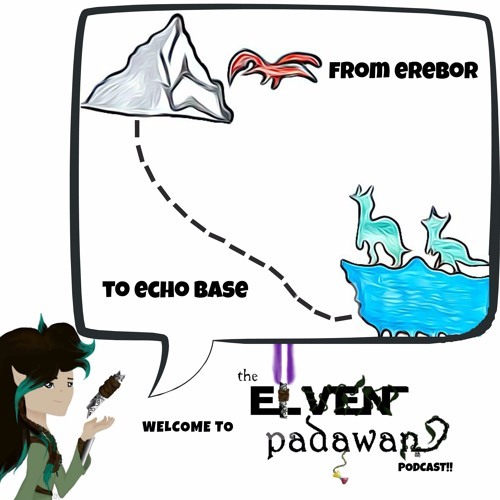 More tracks like The Elven Padawan - #9 - Destiny, Rebels, HerUniverse, &... a LOTR TV show??! !